Explanation: Telescopic observers on Earth have been treated to spectacular views of Saturn lately as the ringed planet reached its 2015 opposition on May 23 at 0200 UT. Of course opposition means opposite the Sun in Earth's sky. So near opposition Saturn is up all night, at its closest and brightest for the year. 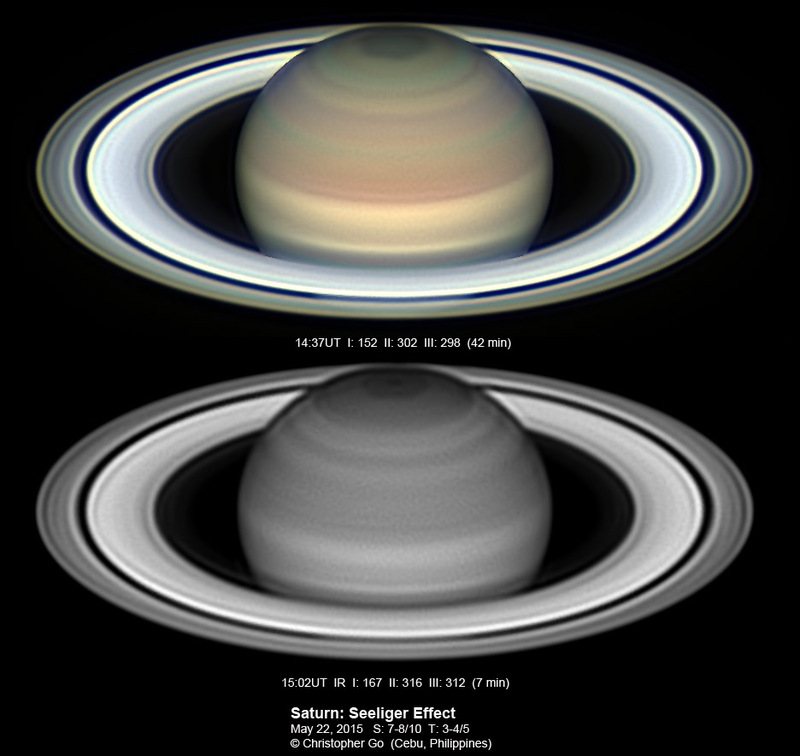 These sharp images taken within hours of the Sun-Earth-Saturn alignment also show the strong brightening of Saturn's rings known as the opposition surge or the Seeliger Effect. Directly illuminated, the ring's icy particles cast no shadows and strongly backscatter sunlight toward planet Earth, creating the dramatic surge in brightness. Saturn currently stands in the sky not far from bright Antares, alpha star of the constellation Scorpius.